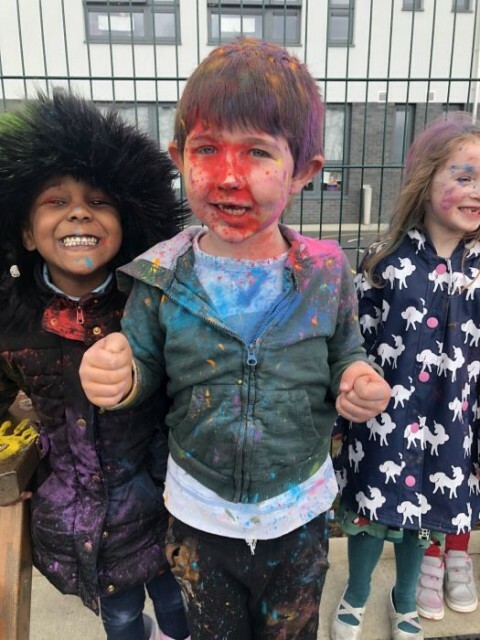 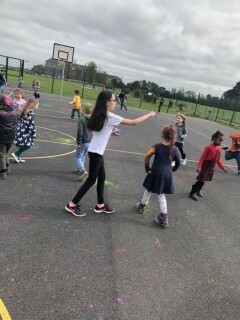 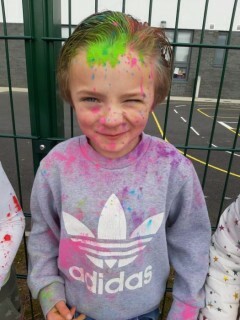 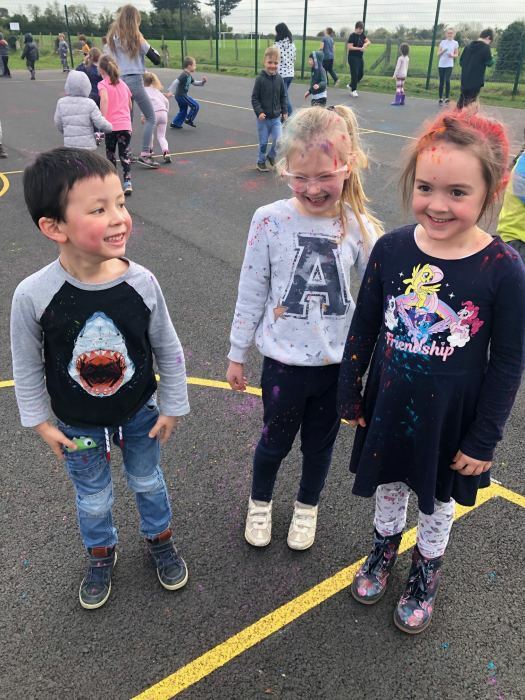 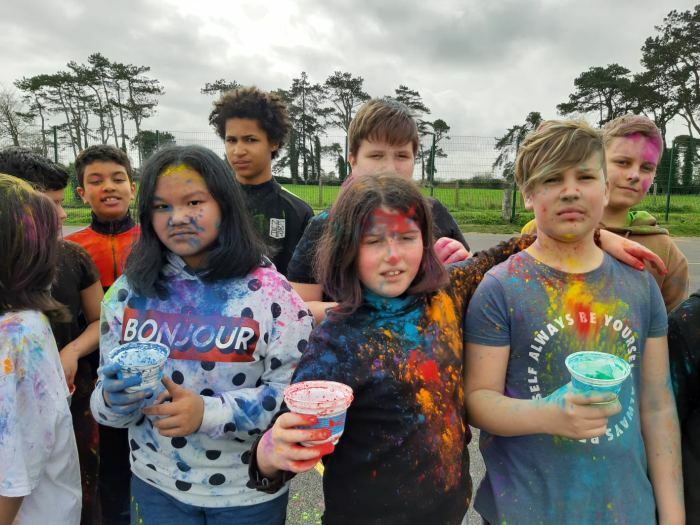 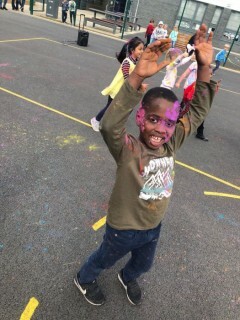 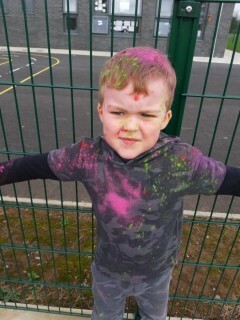 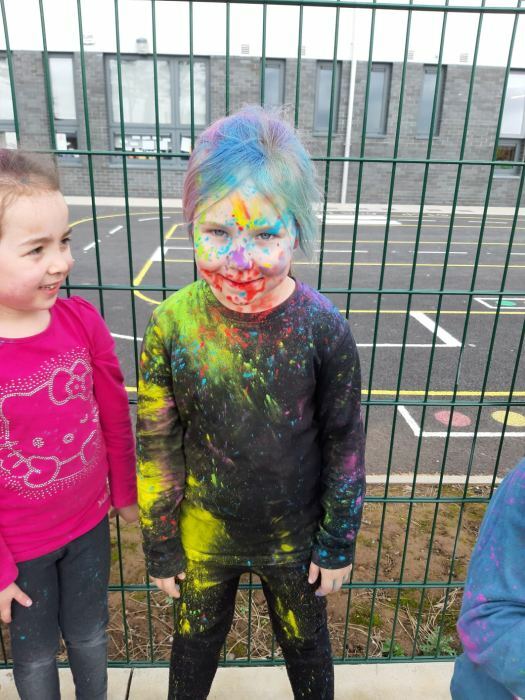 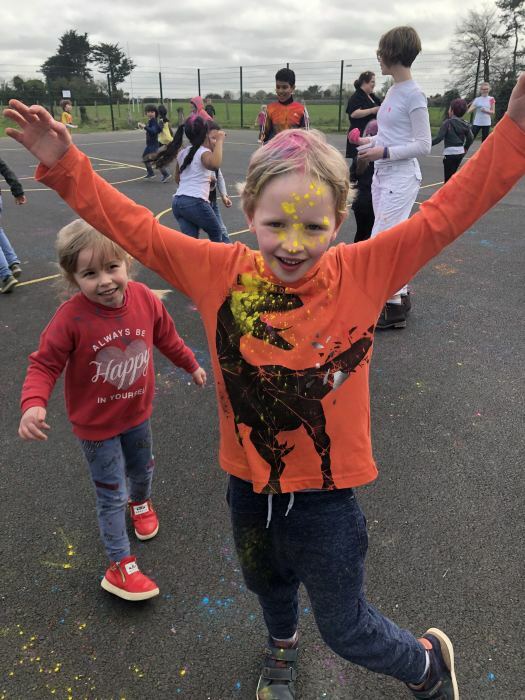 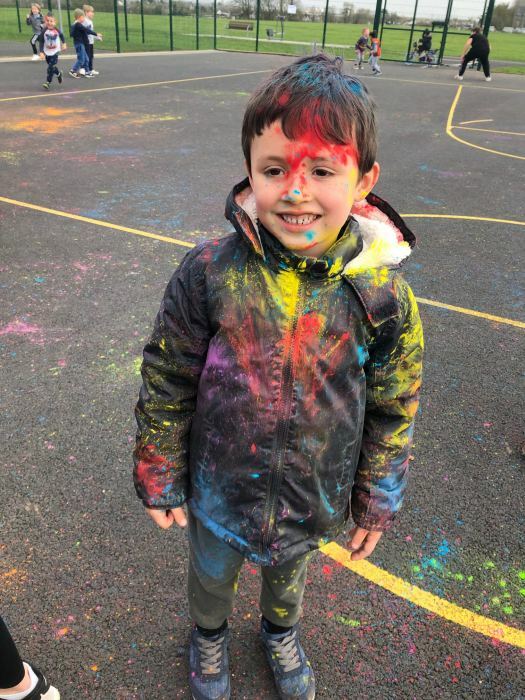 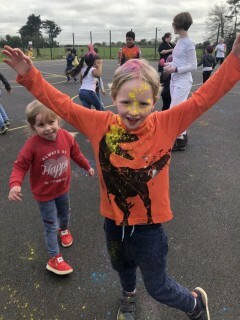 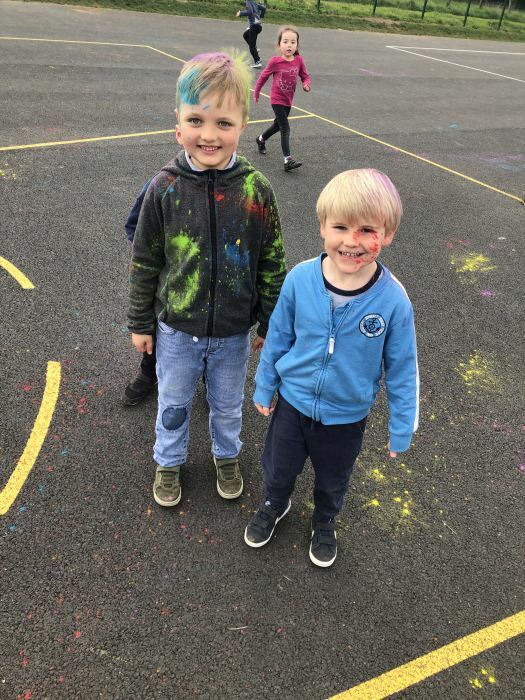 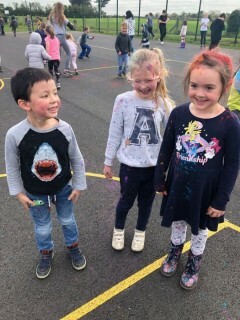 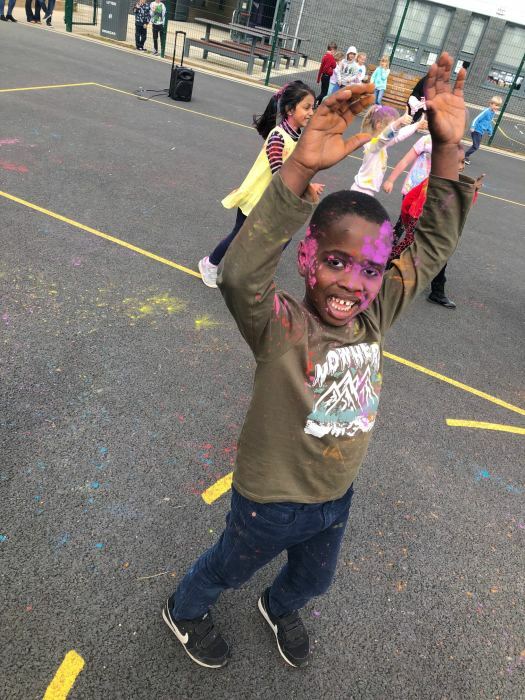 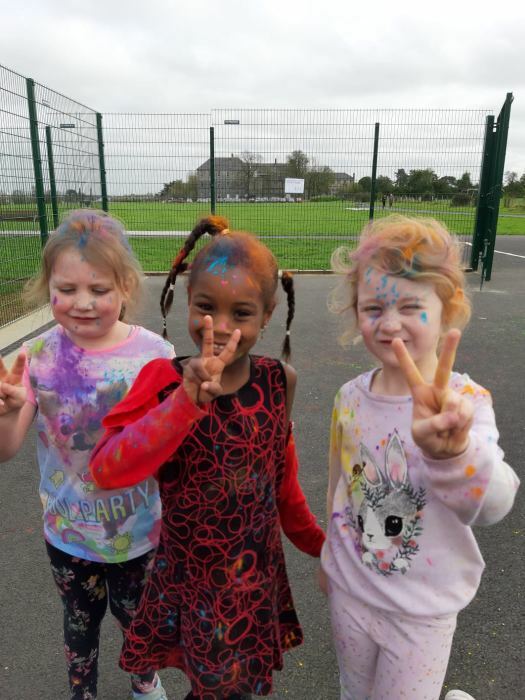 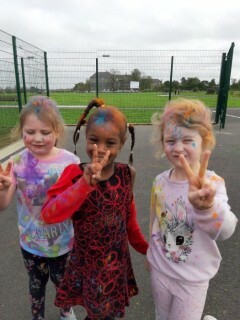 Here are some photos of the infant classes enjoying an activity to mark the Hundu festival Holi. This was done as part of our Learn Together Curriculum under the strand of Belief Systems. 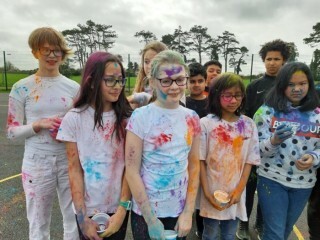 Holi, known as the ‘festival of colors’ is celebrated on the full moon day falling in the month of Phalguna (Feb-Mar). 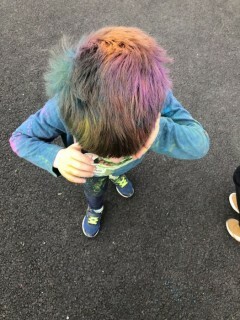 Various colors and water are thrown on each other, amidst loud music, drums etc to celebrate Holi. 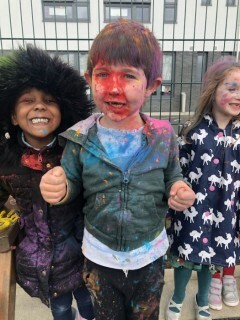 Like many other festivals in India, Holi also signifies a victory of good over evil. 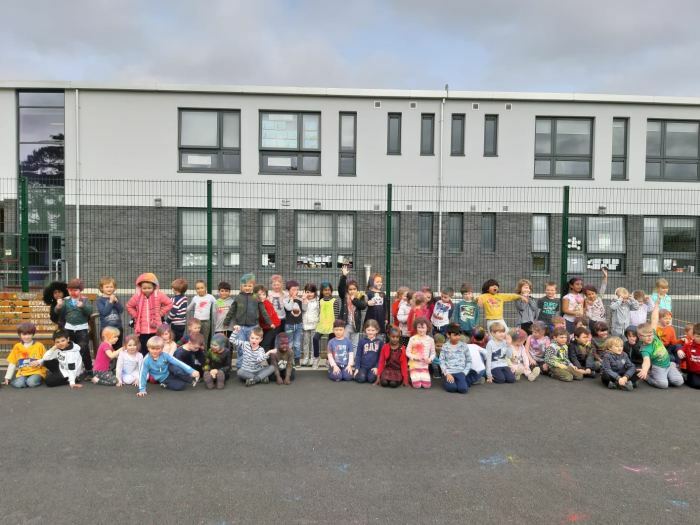 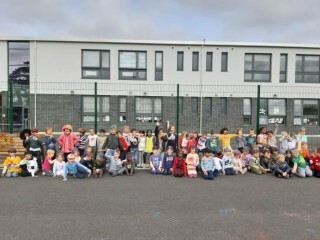 Well done to all our infant classes and to sixth class for organising the celebration so well!